The development of innovative apps is our strength. Whether you are still at the beginning or already have concrete ideas of design and functionality of your mobile application, we assist you in every phase of our know-how to the side. In order to obtain the best results, we draw up a tailor-made concept, then take your individual wishes and requirements into consideration. Apps should not only work properly, but must also be well presented. So we design for your application an attractive interface, which both meet your requirements and fits perfectly into your corporate identity as well as the Zeitgeist. 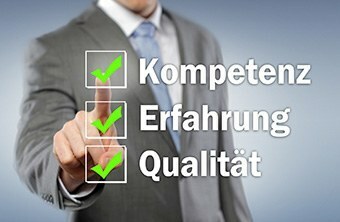 In this way, you can firstly expand and optimize the performance of your company systematically. On the other hand modern and attractive designs convince your customers and contribute to a pleasant use of the mobile application. Apps Agency is your competent partner in the design and programming of apps for Smartphones, tablets, Smart watches and Smart television. As specialists in the development of individual software solutions we have extensive knowledge and experience, available to you in each development phase of your app expert advice. Whether Android, iOS or Windows phone - we can program for all mobile applications, you and your customers will love. You want to successfully market your app, but don't know how? Also, this is where we can help you. We will show you marketing and design a suitable marketing strategy for your application. Interested? Then get in touch with us and get your non-binding offer.